The workplace is ordinarily meant to be a well-organized setting in which productive work is done, in a mentally stimulating and physically safe environment. Due to the employer’s incompetence, sometimes the workplace becomes just as hazardous as it is supposed to be productive, posing a threat to the wellbeing of employees. In the United States, a high rate of workplace accidents has been recorded lately as well as a large number of victims of these hazards. The victims of work injuries are forced into financial losses for medical care and other expenses related to the injury. In many cases, they result in psychological trauma, with the victims forced to employ the services of a counselor. The losses incurred as a result of work injuries, and the pain resulting from them are to be compensated for. It, therefore, is important to hire a sound work injury attorney to get this done. It is the job of your attorney to give you legal advice, keep you well informed on your case and to ensure that your best interest is represented. With over 55 years of combined experience, Rawa Law Group is a five-star law firm with a team of attorneys ready to represent you. 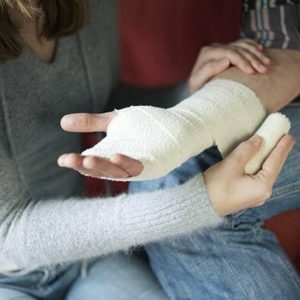 You would be assigned a work injury attorney in Rialto who will freely evaluate your case and provide legal advice, and until your compensation is paid, you are legally represented for free, which means you are not to pay no amount whatsoever. From the start to the end of your case, you will be kept properly informed on every vital matter concerning your case while also receiving ethical legal counsel with no charges attached.